Summer is imminent in the UK when locally grown strawberries start to appear in the stores, (despite all the bad weather jokes!). We do live in an age where strawberries are available all year round but it’s not the same. I do not associate strawberries with Winter, I’ve moved on to the clementine then! Besides, when grown in a Spanish polytunnel, strawberries (in my opinion) do not taste very strawberryish. I have been making strawberry jam for years, mostly the only ingredients I used were strawberries and sugar but since tweeting & blogging Ive come across jam with all sorts of other ingredients added (alcohol, vinegar, spices). I realised what a sheltered kitchen I lived in!! So this year I was a little more adventurous and included some black pepper which is supposed to bring out the strawberry in the strawberry! I also added vanilla, well just because! I was probably a little conservative in my pepper and vanilla additions as I didn’t follow a recipe. Despite my general conservatism, when making jam I rarely follow a recipe. After years of looking through jam recipes that were all so confusingly similar I gave up and now my starting point tends to be weighing the fruit, then adding slightly less in weight of sugar. I’ve made really small batches before resulting in only one and a bit jars because that’s all the fruit I happened to have! In the UK we have “jam sugar” which has added pectin for setting purposes, I havent come across a reason not to use this but I prefer to use regular sugar (I like unrefined). As a result this strawberry jam is quite a soft set, more of a conserve. Water bath canning is not a common process in the UK but now I’ve tried it I like it. I don’t have a canner but successfully use my largest stock pot filled with water. Begin by putting up to 3 saucers into the freezer to use to check for the setting point later. Add the strawberries to a large pan or if you have one a jam pan. Add the sugar and lemon juice. Scrape the vanilla seeds out of the pod into the pan then throw in the pod. Dissolve the sugar slowly over a low heat, until there are no visible sugar grains on the back of a wooden spoon. 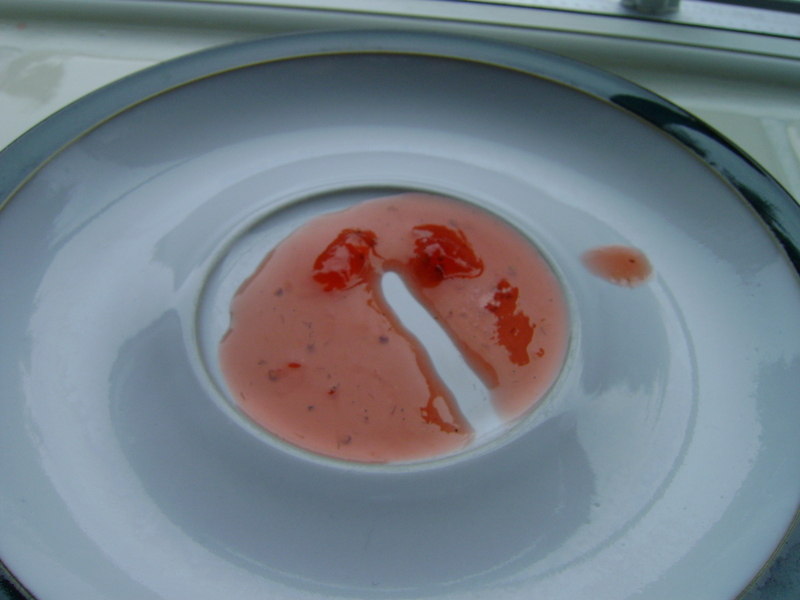 Take off of the heat and test for setting by putting a teaspoon of jam onto one of the frozen saucers. Leave to cool for a minute and test for setting by pushing your finger through the jam. If the jam doesn’t immediately fall back into place or wrinkles and even better a skin has formed, it is set. If not, return to the heat for 2 minutes and repeat number 8. Usually 1 or 2 repeats are all that’s necessary. Of course the opposite to under setting is over setting which results in jam that is unusable so better for a slightly runny jam that can be used in other ways such as a sauce for ice cream. When setting point is reached, fish out the vanilla pod and put into sterilised jars. Simmer jars for 10 minutes in a water bath. 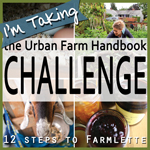 This entry was posted on June 17, 2011, 15:41 and is filed under Uncategorized. You can follow any responses to this entry through RSS 2.0. You can leave a response, or trackback from your own site. 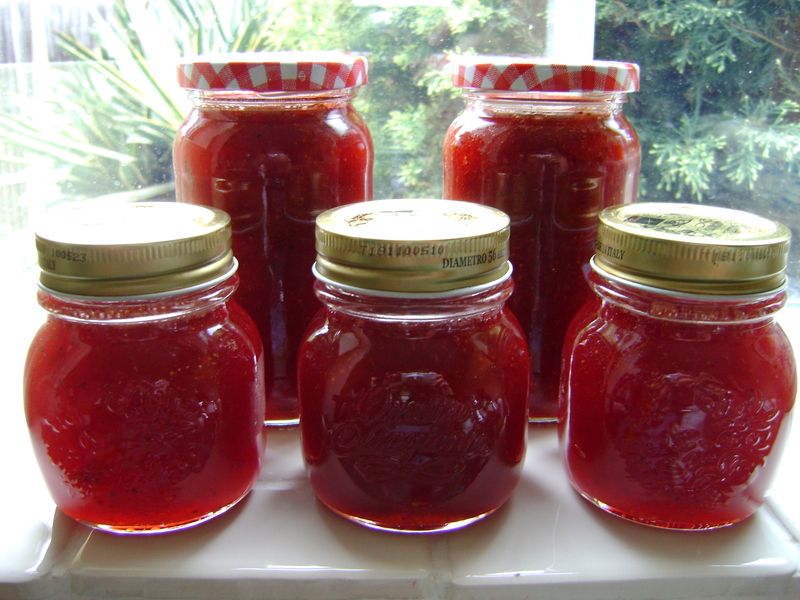 I made strawberry jam on Wednesday – great minds think alike! 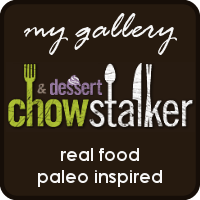 I love your casual style here – I compulsively use a candy thermometer, etc. I dont even have a thermometer! I keep meaning to get one, it would make things so much easier! Your jam is a glorious colour and I bet it tastes amazing. Yay, lets hear it for canning! What really sold me on canning was last year when I entered some cherry whitecurrant jam in the village show that came nowhere. At the village hall when I went to get the results, a bit peeved that my jam hadn’t got a prize, I opened it to check it had been tested, only to my total embarassement to find there was a bit of mould on the top!!!!!! When you mess with ingredients and use less sugar, no matter how careful you are this can happen. I love canning. Once you are geared up for it, it works like a dream. It’s time that the UK caught on. I hope you made more cherry whitecurrant jam , that sounds wonderful! I agree about thecanning- its just safer to do it, especially if you want to give any away!